Good. Fast Dispatch. Expedited UK Delivery Available. Excellent Customer Service. Reprinted 2000. Very Good. Trade paperback (US). Glued binding. 293 p. Mit Press. Over the past decade, a small group of economists has challenged traditional wisdom about international trade. 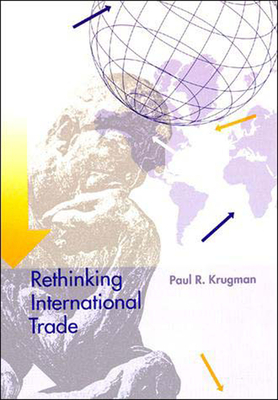 Rethinking International Trade provides a coherent account of this research program and traces the key steps in an exciting new trade theory that offers, among other possibilities, new arguments against free trade. New. 1994. New Ed. Paperback. Over the past decade, a small group of economists has challenged traditional wisdom about international trade. Rethinking International Trade provides a coherent account of this research program and traces the key steps in an exciting new trade theory that offers, among other possibilities, new arguments against free trade. Num Pages: 293 pages, 70 illustrations. BIC Classification: KCA; KCLT. Category: (P) Professional & Vocational; (UP) Postgraduate, Research & Scholarly; (UU) Undergraduate. Dimension: 223 x 155 x 21. Weight in Grams: 474......We ship daily from our Bookshop. NEW. 9780262610957 This listing is a new book, a title currently in-print which we order directly and immediately from the publisher. For all enquiries, please contact Herb Tandree Philosophy Books directly-customer service is our primary goal. New. Trade paperback (US). Glued binding. 293 p. Mit Press.